Extended top tang on a Marcel Thys double rifle. Extended top tang on a Steve Heilmann custom .404 Jeffrey. Extended top tang on a Josef Fanzoj .470NE double rifle. Extended Top Tang - A display of gunmaking skill with a possible benefit of strengthening the wrist of a heavily-recoiling rifle, whereby the top tang of the action is made extra long, shaped and inletted into the top of the buttstock, extending along the top of the wrist and up over the comb. 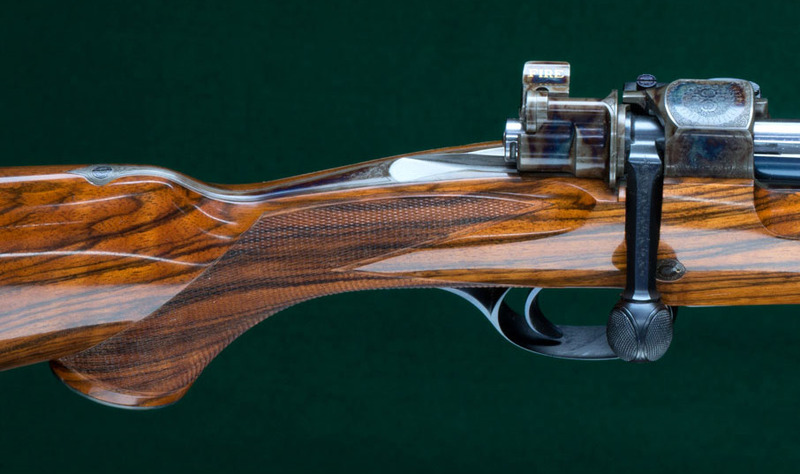 Popularized by Holland & Holland and adopted by several of the finest contemporary riflemakers in the USA. In British: Extended Top Strap.